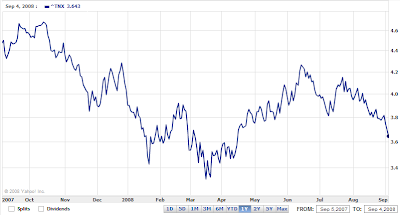 Bond Yields dipped to 3.58% on the 10yr note; a 3 month low. 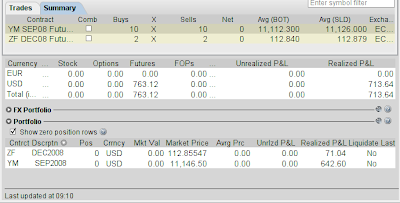 I sold out of my long on YM too soon. 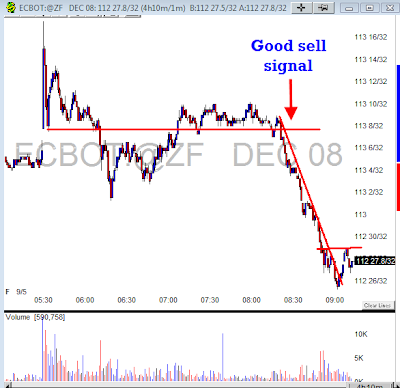 I was thinking of re-entering long, but ZF was at its lows at the time. 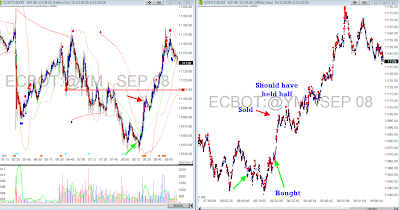 I was expecting a bounce in ZF around 8:30 AM (at which time I was expecting YM to pullback a bit after its bounce off its lows) but it didn't happen, so I waited and watched YM rally higher, missing 2/3rds of the total bounce. Oh'well. Not bad for an hours work. I was wrong. She doesn't work for Vivid anymore. here you go, I know you can do this trade again and again. The method is sound now only if you can stay focus long enough to keep it going.